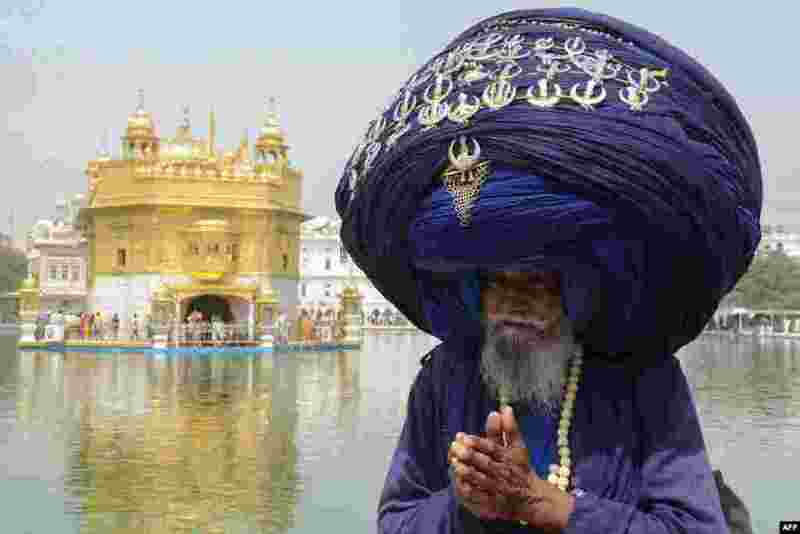 ١ Indian Sikh Nihang (a traditional Sikh religious warrior) Baba 'Jagir' Singh wears a giant turban at the Golden Temple in Amritsar on the eve of the 397th birth anniversary of the ninth Sikh Guru Teg Bahadur. 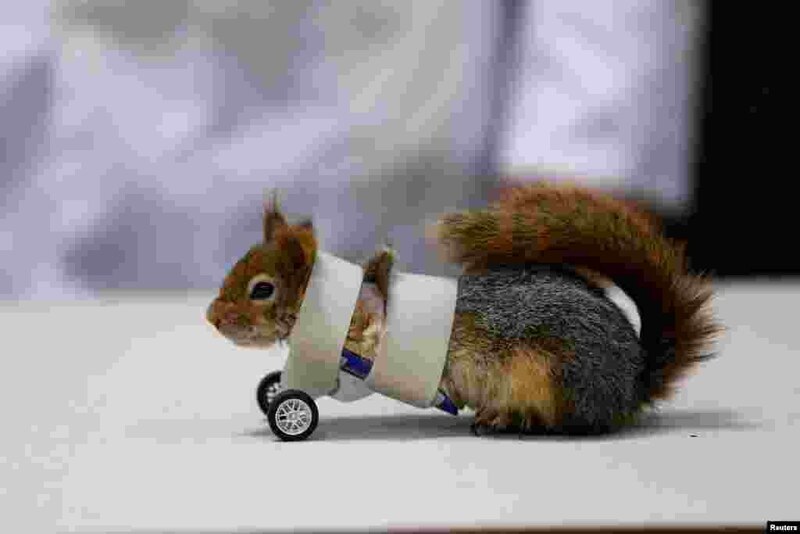 ٢ A squirrel sits on the floor after its limb amputation surgery at Aydin University in Istanbul, Turkey, April 3, 2018. 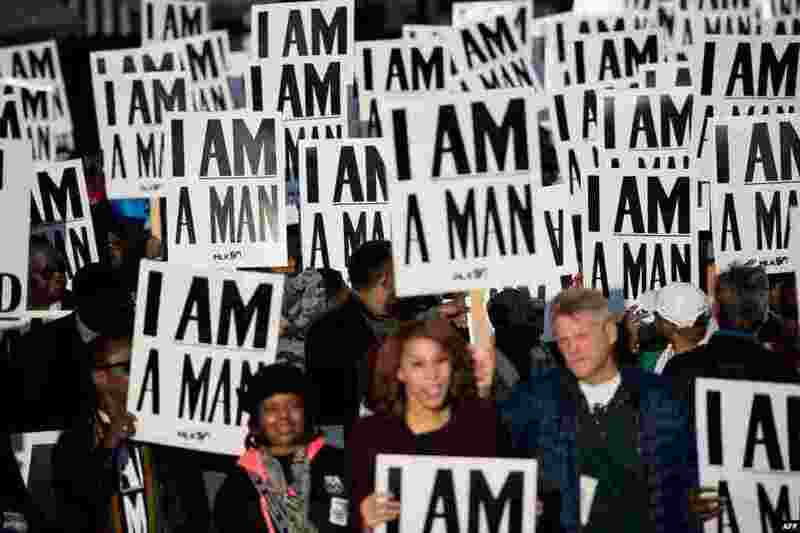 ٣ People wait to march to commemorate the 50th anniversary of the assassination of Martin Luther King Jr., in Memphis, Tennessee. ٤ A ceremonial wreath laying in honor of the 50th anniversary of the assassination of the Rev. 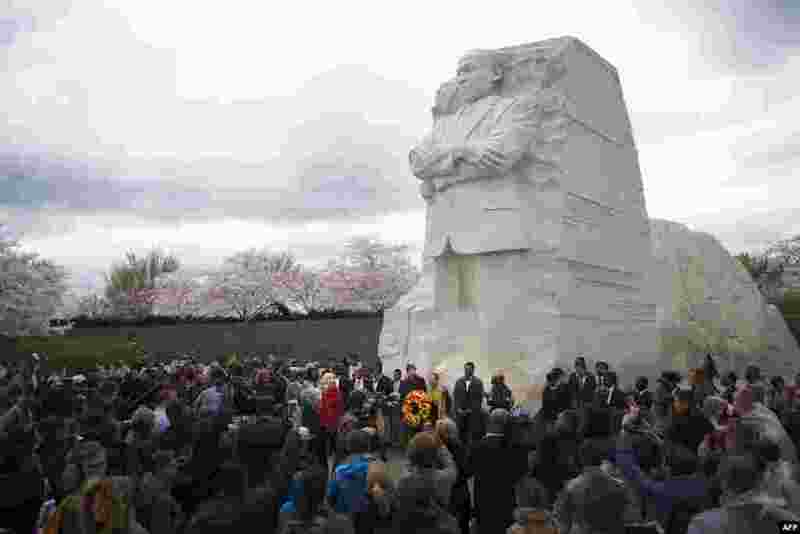 Martin Luther King Jr. at MLK Memorial in Washington, D.C.